Table 3. Variation of the Total Number of Residents and TB Notification Rate. Table 4. Differences Between Observed and Estimated Numbers of TB Cases When Evaluating the Impact of the Immigration on the TB Notification Rate. Table 5. Differences Between Observed and Estimated Numbers of TB Cases When Evaluating the Impact of the Emigration on the TB Notification Rate. Table 6. Differences Between Observed and Estimated Numbers of TB Cases When Evaluating Simultaneously the Impact of Immigration and Emigration on the TB Notification Rate. Tuberculosis notification in Portugal has decreased in the last few years. As a consequence of the economic crisis, emigration has increased and immigration has decreased. Immigrants are a risk group for tuberculosis. Most emigrants are 20–44 years old and belong to the age group most affected by tuberculosis. To describe the decrease in tuberculosis notification in Portugal over the last years from a demographical point of view. Mathematical analysis was performed to quantify the effect of the migration movements (separately and simultaneously) on tuberculosis notification in Portugal from 2008 to 2014. We calculated the estimated tuberculosis notification for each year during the period of study: 1) fixing immigration rate and tuberculosis rate in immigrants at 2008 values; 2) fixing emigration rate and tuberculosis rate in emigrants at 2008 values; 3) fixing both phenomenons at 2008 values. The differences between the observed and the estimated numbers were small (≤0.5 cases/100000 inhabitants). Impact of the migration movements on tuberculosis notification rate does not seem to be significant when analyzed for each phenomenon individually and simultaneously, by our model. This might mean that we have to concentrate our efforts in other risk factors for tuberculosis. La notificación de casos de tuberculosis en Portugal ha disminuido en los últimos años. Como consecuencia de la crisis económica, la emigración ha aumentado y la inmigración ha disminuido. 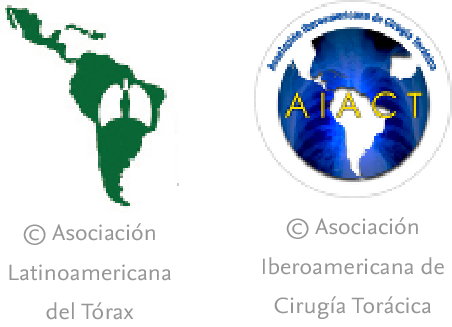 Los inmigrantes son un grupo de riesgo para la tuberculosis. La mayoría de los emigrantes tienen entre 20 y 44 años y pertenecen al grupo de edad más afectado por la tuberculosis. Describir la disminución de la notificación de casos tuberculosis en Portugal en los últimos años, desde un punto de vista demográfico. Se realizó un análisis matemático para cuantificar el efecto de los movimientos migratorios (por separado y simultáneamente) en la notificación de casos de tuberculosis en Portugal de 2008 a 2014. Se calculó la notificación de casos de tuberculosis estimada para cada año durante el período de estudio. La notificación estimada de tuberculosis para cada año del periodo de estudio se calculó: 1) fijando las tasas de inmigración y de tuberculosis en inmigrantes con datos del año 2008; 2) fijando las tasas de emigración y de tuberculosis en emigrantes con datos del año 2008, y 3) fijando ambos fenómenos con datos del año 2008. Las diferencias entre los valores observados y los valores estimados fueron pequeñas (≤ 0,5 casos/100.000 habitantes). Según el modelo matemático propuesto en este trabajo, el impacto de los movimientos migratorios en la tasa de notificación de casos de tuberculosis en Portugal no parece ser significativo cuando se analiza cada fenómeno tanto individual como simultáneamente. Estos datos indicarían que deberíamos concentrar los esfuerzos en identificar otros factores de riesgo para la tuberculosis. The main aim of this study is to describe the decrease in TB in Portugal over the last years purely from a demographical point of view. As such, the authors quantify the effect of the migration movements (immigration and emigration) on the TB notification in Portugal (from 2008 to 2014). Data on tuberculosis notification were collected from the Portuguese Tuberculosis Surveillance System (SVIG-TB) coordinated by the Directorate General of Health (DGH) during the seven year period ranging from 2008 to 2014. Data on migration movements for the period of study (2008-2014) were collected from Immigration and Borders Service Statistics and Statistics Portugal, the public Portuguese entity responsible for the official statistical information and included: 1) the absolute number of resident immigrants in each year; 2) the absolute number of immigrants entering the country per year; 3) the absolute number of emigrants per year; 4) the migration balance, which refers to the difference between the number of individuals entering and leaving the country, per year. For the purpose of this paper, TB cases with no information on the country of origin were excluded from the analysis. As this was a retrospective study and used routinely collected surveillance data, neither ethical approval nor informed consent were required. The impact of the migration movements on the TB burden was initially addressed separately for immigration and emigration, and simultaneously afterwards. The separate analysis allowed for the study of the influence of each migration phenomenon in isolation. Here, TBNI(t) denotes the number of TB-cases within the non-immigrant resident population in year t, TBI(t0) denotes the number of TB-cases within the immigrant population in t0=2008, and P(t) (resp. E(t), I(t0)) represents the number of Portuguese individuals (resp. emigrants, immigrants) in year t (resp. t, t0). Clearly, P(t)−E(t)+I(t0) corresponds to the total number of individuals resident in Portugal in year t.
Then, for each year, the expected number was compared with the observed number of TB-cases (including different annual counts for the number of immigrants and TB-cases among immigrants). The magnitude of the differences allowed for the evaluation of the impact of the immigration process on the TB incidence. Indeed, had the TB-emigrants in year t stayed in the country and the difference TBE(t)−TBE(t0) would have been accounted for in the total number of cases within national territory. The magnitude of the differences between observed and expected counts allowed for the evaluation of the impact of the emigration process on the TB incidence. From 2009 to 2013 there was a steady annual increase in the number of emigrants and essentially a decrease in the number of immigrants. The years 2008 and 2014 have slightly contradicted this trend. Until 2010, the number of immigrants per year was higher than the number of emigrants. From 2011 to 2014, there was an inversion in the migration flow, and the number of emigrants exceeded the number of immigrants, thus turning the migration balance negative (Table 1). Immigrants entering the country each year. The number of TB cases has been consistently decreasing since 2008. Cases occurring in immigrants represented 13.8% of all cases in 2008, 15.2% in 2009 and remained stable at about 16% since 2010. Immigrants have a much higher notification rate of TB than the Portuguese individuals (Table 2). M: male; F: female; TB: tuberculosis. As documented in SVIG-TB; includes the cases for which the country of origin is missing. TB rate: TB cases (excluding TB cases with missing origin) per 100000 inhabitants. TBPI: TB cases in Portuguese individuals=TB cases−TB cases in immigrants−TB cases with missing origin. TBPI rate: TBPI cases per 100000 inhabitants. TBI: TB cases in immigrants. TBI rate: TBI cases per 100000 resident immigrants. Similar to the TB notification rate, the total resident population in Portugal, has essentially decreased over 2008–2014 (with the exception of a slight increase from 2008 to 2009). However, the relative annual decrease on the number of residents was lower than the decrease on the TB numbers (Table 3). Variation of the Total Number of Residents and TB Notification Rate. As shown in Table 1, from 2008 to 2014 there were relatively few immigrants entering Portugal. Fixing both the immigration rate and the TB rate among immigrants at their 2008 values, and considering the variation on emigration that has actually occurred, we’ve estimated the number of TB cases per 100000 inhabitants for each studied year (Table 4). The differences between the observed and the estimated numbers were residual, ranging from more 0.27 cases/100000 inhabitants in 2010 to less 0.49 cases/100000 inhabitants in 2014. Differences Between Observed and Estimated Numbers of TB Cases When Evaluating the Impact of the Immigration on the TB Notification Rate. On the other hand, emigration rose significantly during the period of study (Table 1), which could have influenced the TB rate in the country to go lower. The official number of TB cases in emigrants leaving the country in 2008 was 4.87/100000 inhabitants. Assuming that this rate remained constant along 2008–2014 and that the total number of emigrants did not change either along that period, we estimated annual numbers for TB in Portugal. The observed numbers were only slightly higher than their estimates. The differences were even smaller than those found for the immigration impact (<0.1 cases/100000 inhabitants) (Table 5). Differences Between Observed and Estimated Numbers of TB Cases When Evaluating the Impact of the Emigration on the TB Notification Rate. When looking at both migration movements at the same time, the observed TB rate was again identical to the estimated TB rate (differences between less 0.43 cases/100000 inhabitants in 2014 and more 0.28 cases/100000 inhabitants in 2010) (Table 6). Differences Between Observed and Estimated Numbers of TB Cases When Evaluating Simultaneously the Impact of Immigration and Emigration on the TB Notification Rate. The number of TB cases has been decreasing in Portugal (notification rate was 27.8/100000 inhabitants in 2008 vs 21.8 cases/100000 inhabitants in 2014). Since 2009, the resident population has also been decreasing, but at a slower pace, as shown in Table 3. As for that, the decreasing number of TB cases cannot only be due to the reduction in the resident population. Between 2008 and 2010, the number of immigrants exceeded the number of emigrants (positive migration balance). Since 2011 until 2014, migration balance turned negative. Moreover, TB rate has been consistently higher among immigrants compared to the native population (>90 cases/100000 inhabitants vs 18.3–23.9 cases/100000 inhabitants). The percentage of TB cases in this group has risen from 13.2% in 2008 to 15.2% in 2009 and remained at about 16% since 2010. This model allowed us to evaluate the impact of the immigration on the TB rate. It showed that, since 2011, as immigration is decreasing, there is a tendency to a lower number of TB cases. However, the differences are very small, representing less than 1 case per 100000 inhabitants, so the impact does not seem to be significant. In the recently published action framework of the WHO towards TB elimination in low incidence countries23 strategies involving migrants are mentioned in three of the eight priority action areas: 1) to address the most vulnerable and hard-to-reach groups; 2) to address special needs of migrants and crossborder issues and 3) to undertake screening for active TB and latent tuberculosis infection (LTBI) in TB contacts and selected high-risk groups, and provide appropriate treatment. In countries where most cases of TB occur in foreign born individuals or where incidence in this group is increasing, despite a decreasing TB rate, as it occurs in Portugal, policies on this subject are of great importance. As for the emigration increase over the period of study, our model showed very little differences between the number of observed and expected cases (<0.1 cases/100000 inhabitants each year). The fact that the differences between observed and expected cases were smaller than those found for the immigration impact can mean that the increase in emigration that we observed over 2008–2014 has not significantly impact the national TB rate. We assumed the TB rate in emigrants to be similar to the TB rate in the Portuguese individuals that stayed in the country. However, we do not know if these individuals had other risk factors for TB or if they became more vulnerable for TB when they moved abroad. Despite the lack of knowledge about this group, our model failed to demonstrate an impact of emigration on TB notification rate. Individually, the migration movements did not influence TB rate when analyzed by our model, so we tried to look at the impact of both movement altogether. Differences were again very small (<0.5 cases/100000 inhabits each year), so, even when combined, migration movements do not seem to largely influence TB notification rate. This might mean that we have to concentrate our efforts in other risk factors. Sousa et al.28 recently found HIV to be the factor with this highest impact: an increase of 10 HIV notifications per 100000 inhabitants was associated with a rise of 2 new TB cases per 100000 inhabitants. Also, an increase of 1000 unemployed subjects per 100000 inhabitants was associated with one new case of TB per 100000 inhabitants. Preventive strategies that target these factors might have an important impact on TB burden. In this work, the authors tried to understand the impact of two demographic factors – the migration movements and the decrease in the total number of residents – on the burden of TB in Portugal over the 7-year period 2008–2014. As such, other risk factors such as HIV infection, homelessness or overcrowded housing were assumed to remain constant over that period. In conclusion, the changing pattern of migration in Portugal over the period of study (2008–2014) does not seem to have had a significant impact on the TB notification rate. All authors contributed to drafting and review of the manuscript. The authors declare to have no conflict of interest directly or indirectly related to the manuscript contents. Rita Gaio was partially supported by CMUP (UID/MAT/00144/2013), which is funded by FCT (Portugal) with national (MEC) and European structural funds (FEDER), under the partnership agreement PT2020. This work was supported by the contribution of Iceland, Liechtenstein and Norway, through the EEA Grants, under the Public Health Initiatives Programme (PT 06), grant number 138DT1. WHO declares tuberculosis a global emergency. Programa Nacional de Luta contra a Tuberculose. A. Diniz, R. Duarte, J. Bettencourt, T. Melo, M. Gomes, O. Oliveira. Direcção Geral da Saúde. Portugal – Infeção VIH, SIDA e Tuberculose em números – 2015. A. Odone, T. Tillmann, A. Sandgren, G. Williams, B. Rechel, D. Ingleby. Tuberculosis among migrant populations in the European Union and the European Economic Area. N.A. van Hest, R.W. Aldridge, G. de Vries, A. Sandgren, B. Hauer, A. Hayward, et al. Tuberculosis control in big cities and urban risk groups in the European Union: a consensus statement. Guidance on tuberculosis control in vulnerable and hard-to-reach populations. C. Ködmön, P. Zucs, M.J. van der Werf. C. Mulder, E. Klinkenberg, D. Manissero. Effectiveness of tuberculosis contact tracing among migrants and the foreign born population. J. Paulino, A. Martins, M. Machado, M. Gomes, A.R. Gaio, R. Duarte. R.P. Pires, C. Pereira, J. Azevedo, A.C. Ribeiro. Observatório da Emigracão. Emigracão Portuguesa-Relatório Estatístico 2014, Lisboa. Instituto Nacional de Estatística. https://www.ine.pt/xportal/xmain?xpgid=ine_main&xpid=INE [last accessed 25.09.16]. Análise dos efeitos da crise das dívidas soberanas na migração do sul para o norte da Europa: o caso Português. L. D’Ambrosio, D. Masoud, M. Tadolini, R. Centis, G. Sotgiu, M.J. van der Werf, et al. D. Brian, B.D. Gushulak, D.W. MacPherson. Globalization of infectious diseases: the impact of migration. N. Buonora, M. Chiavarini, L. Salmasi, M. Giaimo, L. Minelli. Impact of immigration on burden of tuberculosis in Umbria: a low-incidence Italian region with high immigrants rates. B.R. Underwood, V.L.C. White, T. Baker, M. Law, J.C. Moore-Gillon. Contact tracing and population screening for tuberculosis – who should be assessed?. The end TB strategy global strategy and targets for tuberculosis prevention, care and control after 2015. K. Lönnroth, T. Battista Migliori, I. Abubakar, L. D’Ambrosio, G. de Vries, R. Diel, et al. I. Solovic, I. Abubakar, G. Sotgiu, M. Dara, D. Goletti, R. Duarte, et al. TB care among refugees arriving in Europe: a ERS/WHO Europe Region Survey of Current Practices. M. Torres Redondo, C. Carvalho, A.M. Correia, R. Duarte. Tuberculosis en los portugueses residentes en el extranjero. G. Harling, R. Ehrlich, L. Myer. The social epidemiology of tuberculosis in South Africa: a multilevel analysis. J. Cordeiro da Costa, O. Oliveira, L. Baía, R. Gaio, M. Correia-Neves, R. Duarte. G.M. Calvert, F.L. Rice, J.M. Boiano, J.W. Sheehy, W.T. Sanderson. Occupational silica exposure and risk of various diseases: an analysis using death certificates from 27 states of the United States. Risk of pulmonary tuberculosis relative to silicosis and exposure to silica dust in South African gold miners [published erratum appears in Occup Environ Med 1999 Mar;56(3):215–6]. V. Melo, L. Baía, A. Rita Gaio, R. Duarte. L. Ingrosso, F. Vescio, M. Giuliani, G.B. Migliori, L. Fattorini, S. Severoni, et al. Risk factors for tuberculosis in foreign-born people (FBP) in Italy: a systematic review and meta-analysis.